What is a Geotube®? 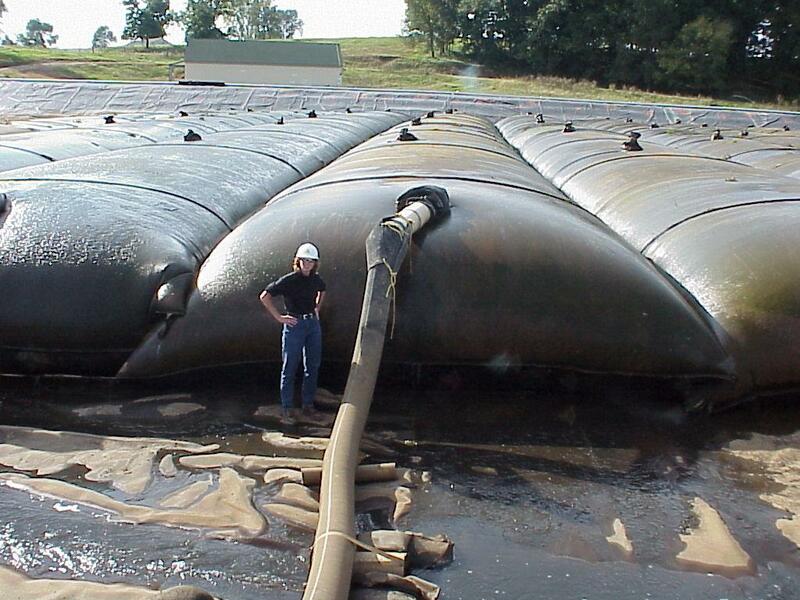 Imagine the humble sandbag merged with the geo-filtering properties of a silt fence. 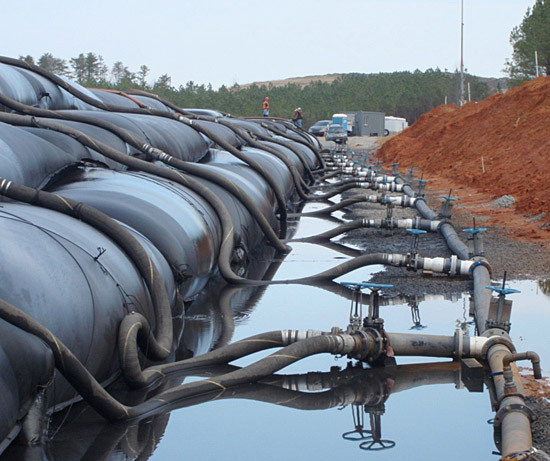 Then supersize it, so as to envelop or relocate entire landscapes (with the help of pipes, pumps and polymers). 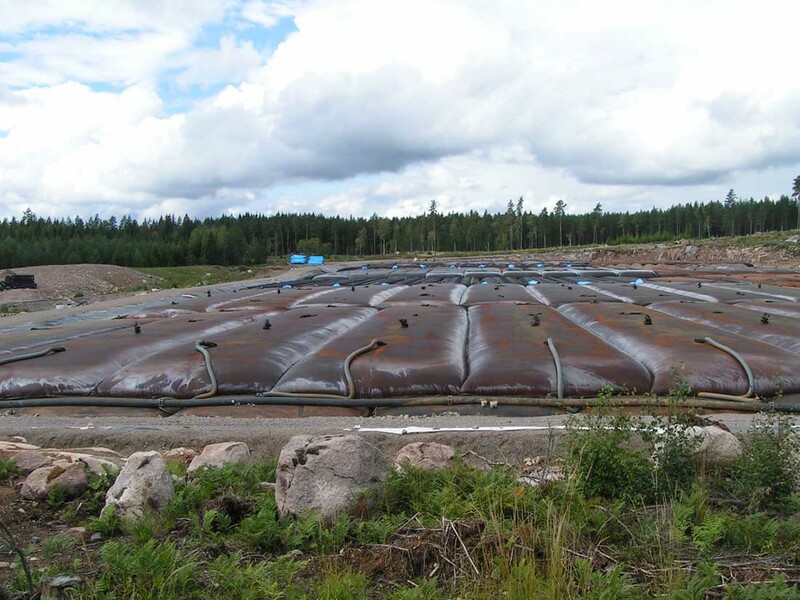 Render them a patented product, and you have the contemporary sludge sucking sand bag; capable of anything from manufacturing islands, stabilizing shorelines, arresting erosion, creating underwater structures, sieving water from toxic soils and animal waste and other yet-to-be known anthropogenic sediment handling practices. Their flexi, inflatable qualities allow them to be deployed almost anywhere.